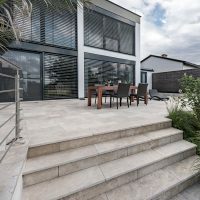 Located at Clifton Hill, Blend Design is one of the most trusted and reputed property stylists in Melbourne. With more than 18 years of experience in the interior styling industry, we are capable to offer a comprehensive range of services that include property staging and styling, home decorating, home staging, interior decoration and many more. Our qualified property stylist understands the industry and market very well and can make people fall for your property. Our team is creative and experienced and embraces any property style, price and location. We aim to help you achieve a higher price by creating beautifully styled space. Our team of interior decorator and interior stylist will work with the clients to create a tailored, stylist, practical and functional living space across Melbourne. From choosing colors, furniture to art, materials and finishes, we’ll bring it all together into a unique and well designed interior plan. Being the renowned real estate stylist, we regularly style properties in inner-northern suburbs including Clifton Hill, Carlton, Brunswick, Parkville, Richmond, Fitzroy and North Melbourne.